You will be given a reference e-book to read which has 330 pages And the test will be based on that e-book , you can take final test within 1 year of purchase. e-Discovery which stands for electronic discovery can be defined as a process which encompasses civil litigation discovery and deals with exchanging information and data in electronic form. The electronic form of data and information is called ESI which stands for electronically stored information. A lot of people are now using e-Discovery as a means of solving their problems and confusions about confusing litigation terms and concepts. These people include IT managers, lawyers and forensic investigators. It should be noted that the electronic information which forms an essential part of the e-discovery process is different from written and printed information on paper due to the intangible form, persistence, transience and volume of the former. Most electronic data and information are also accompanied by metadata and this is something that you can never find in a paper document. If you want to become an expert in e-discovery, then it is advisable for you to remember that there are numerous types of data that form part of the electronic discovery process. These include emails, instant messaging (IM) chats, videos, photographs, MS Word or text files, accounting databases, voice mails, web sites and any other information that are stored electronically and are extremely essential in a lawsuit. One of the major objectives of e-Discovery is to stay proactive when it comes to managing records and information while also obtaining complete control especially when handling prospective e-discovery requests. It requires the development of effective policies and procedures used in records management to strengthen the discipline associated to managing records. If you are one of those who dreamed of becoming one of the most reliable e-Discovery experts, then enrolling in the e-Discovery certification course which is part of the many offers of Brainmeasures is the best thing that you can do. The e-Discovery course which you can now access at Brainmeasures is extremely useful in your attempt to master all the terms and concepts that are linked to its successful implementation. With the help of this online certification course, you will get the chance to access an effective and comprehensive e-Discovery training which is guaranteed to work when it comes to strengthening your background about the field especially about its major objectives and components, the basics of implementing it, the different types of data that form a huge part of the process and the most useful tools that you can use in successfully carrying out the electronic discovery process. 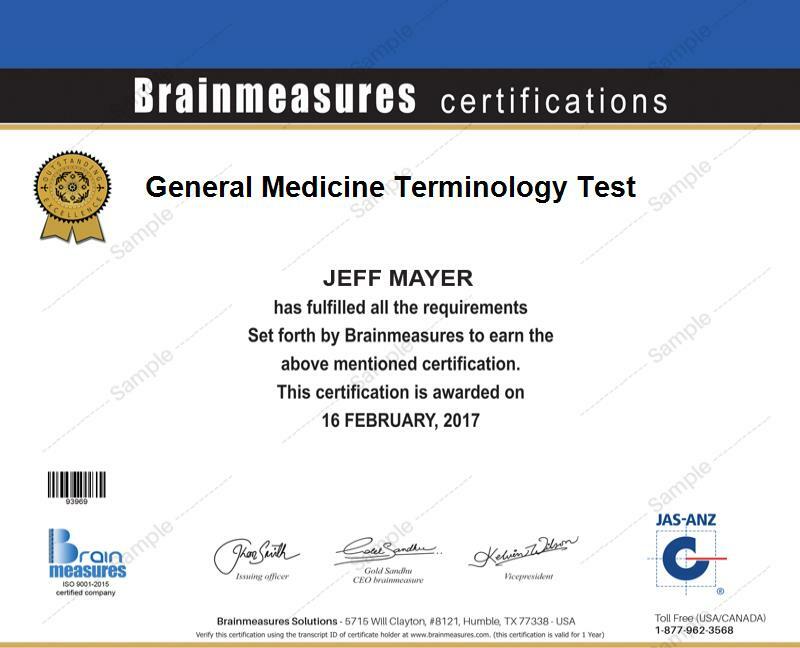 The good thing about Brainmeasures is that it has already received great reviews from the public because of its guaranteed reliability so receiving your e-Discovery certificate from this company will definitely allow you to show your competitive skills and knowledge in this area. How to clearly view the life of electronic data and information? The e-Discovery certification program which is now available at Brainmeasures is extremely beneficial to different individuals especially those who are working in the legal industry. You can expect this certification course to be more ideal for managing partners or any other leaders of a firm, e-Discovery practice and litigation group leaders, administrators, executive directors, litigation support professionals or any other individuals and professionals who are responsible of performing jobs that are related to the implementation of e-Discovery practices. Your successful completion of an e-Discovery certification course can also bring a lot of good to your finances. You can use your e-Discovery certification to apply for the position of an e-Discovery specialist. Being hired in this position gives you the opportunity to earn at least $58,000 annually. You can also work as an e-Discovery attorney which usually offers an annual salary of around $55,000 to $94,000.